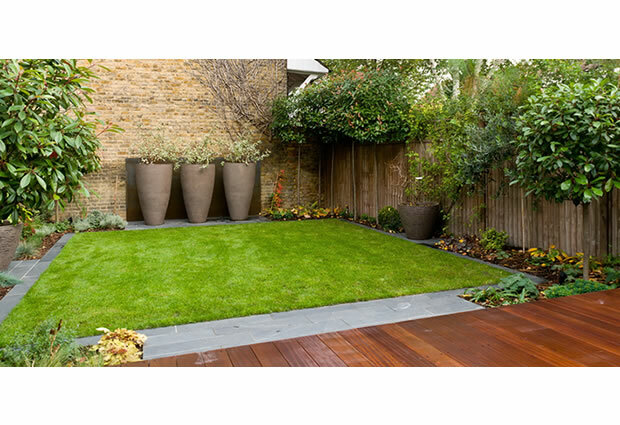 A simple, well balanced garden design in Clapham SW4 with both formal and contemporary garden design elements. 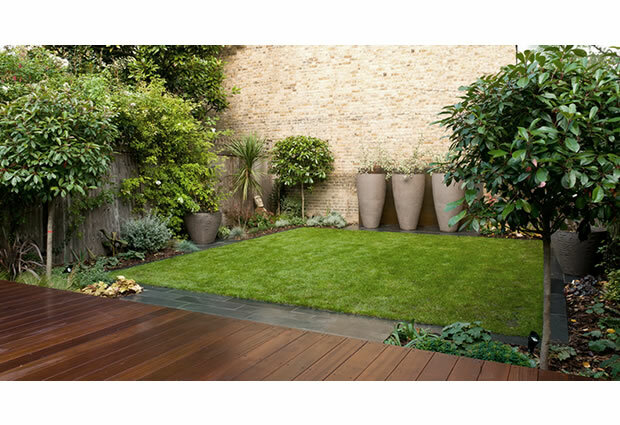 The terrace, a Balau hardwood deck, extends the interior creating a greater sense of space for both interior and exterior. 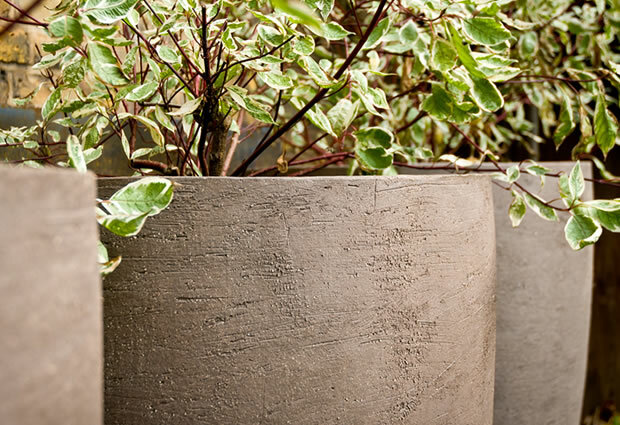 This works fantastically well with smaller gardens extending the interior creating the outdoor room . Level change is important here to create continuity and decisions have to be made to have material change or not . There are advantages to both , one being you greatly increase the sense of space with a extending the with the same material but you can lose the singular identity of the garden. 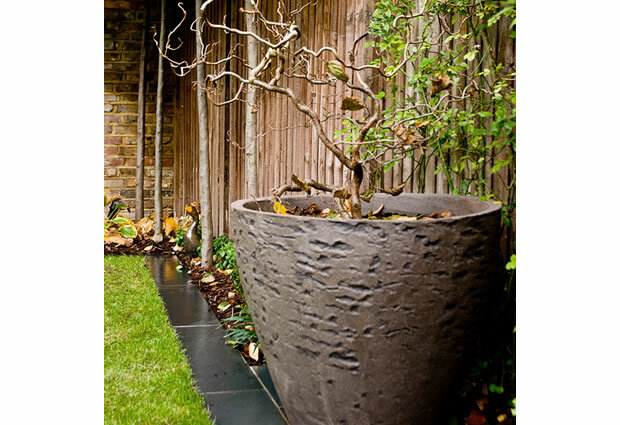 For this garden Design Clapham I felt that a change of materials from interior would give the space more of its own identity .I feel with smaller garden go for the garden identity as extending with the same materials it may look as you won’t have much garden left .On larger gardens i think this works better as it doesn’t have such an impact on the garden and the remaining gaden is large enough to make its own presence felt . 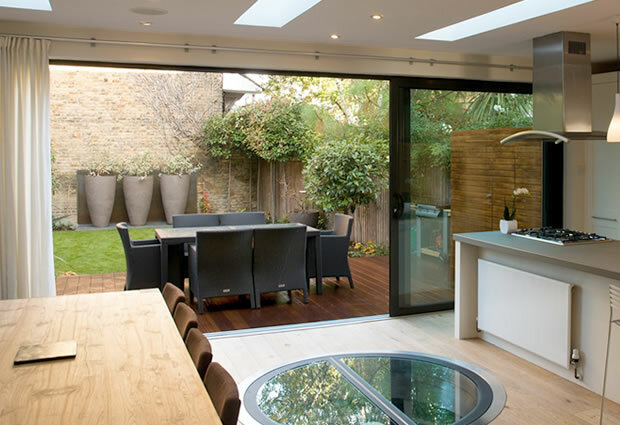 You can also on smaller garden create the true courtyard extending the interior throughout . 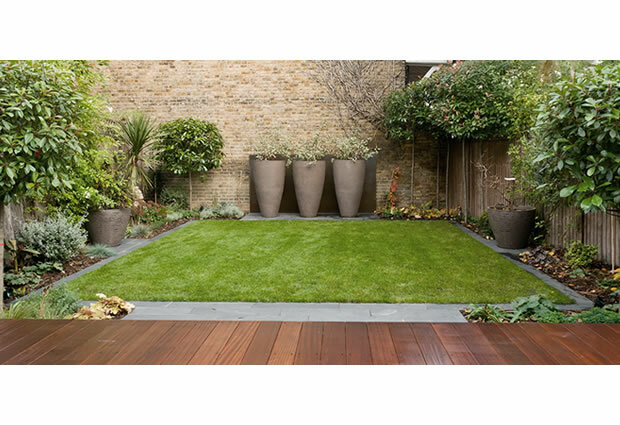 Slate stone edging helps define the central lawn and reinforces the formal structure and clean lines. 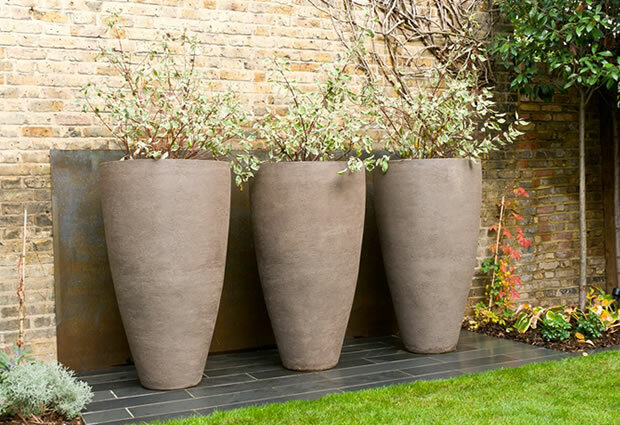 The beautifully designed hand made pots and Corten-steel back plate offer a strong focal point that compliment the original London stock wall. 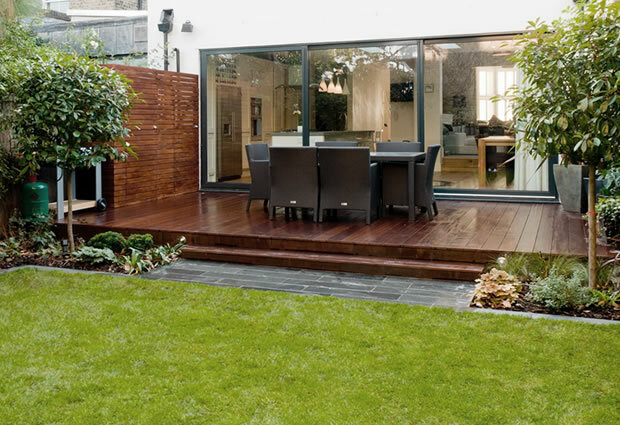 A family garden with usable functional space. For more examples of our work please feel free to browse through our portfolio page.